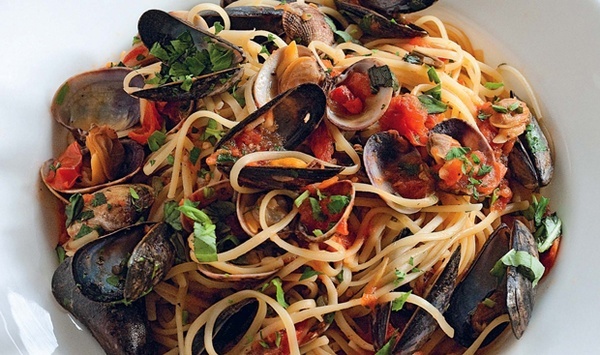 One of my favorite meals to make anytime of the year is Linguine with Seafood. This is one dish that we all enjoy as a family! Guest post from Debbie Aidinis. One of my favorite meals to make anytime of the year is Linguine with Seafood. This is one dish that we all enjoy as a family. I typically prepare this meal with clams, shrimp and lobster. When the local fish market has fresh cleaned calamari, I will add it as well. Mussels and scallops can also be used. I like that this dish can be done with a variety of seafood, with any combination being used depending on availability and preference. 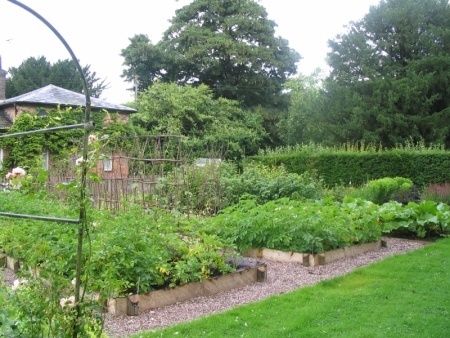 Growing up, we always had the benefit of a garden with fresh vegetables, herbs and fruit. My Grandfather immigrated here from Reggio Calabria, Italy, and brought his knowledge of gardening, which has been passed down through the generations, with him. My family still has the garden, though it’s not as large as the original and there are always fresh tomatoes and vegetables to go around. Knowing what a difference it makes, I like to use the freshest ingredients when I cook, using garden herbs that I grow. 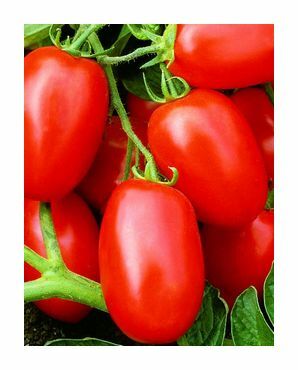 In the summer, I will use fresh plum tomatoes or cherry tomatoes. Using cherry tomatoes will give you a much lighter sauce, but you will need quite a lot. 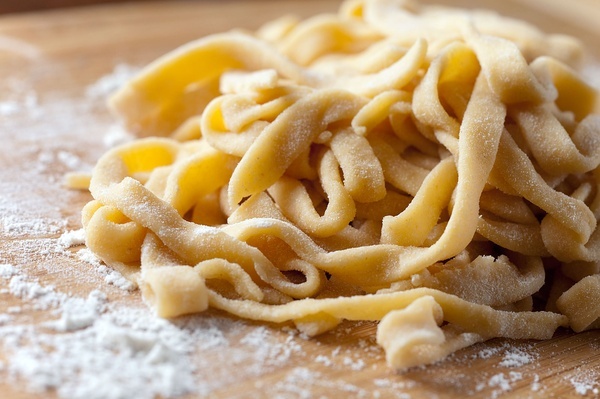 There is nothing like using fresh pasta and I highly recommend cooking with it. As always, I do not measure my ingredients so the following amounts are estimated and may need to be adjusted. The amount of seafood used may also be adjusted according to what is being used to make the dish. In a large, heavy skillet, heat the olive oil over medium heat,then add the onions (and garlic if including) and cook till tender. Add the coarse black pepper, and red pepper flakes. Let mixture cook for few minutes, then add wine and tomatoes and bring to a boil, then simmer. If using cherry tomatoes, leave them whole and let them cook until they eventually break apart. Add the parsley, basil, and salt to mixture and let cook, occasionally stirring sauce. Wash clams and steam in a separate pot. Clean shrimp and set aside. Cut Lobster into bite-sized pieces and set aside. Boil water for pasta and cook as directed, reserving some liquid from the pasta. Place the pasta into a large, shallow bowl; add just enough of the reserved liquid to coat the pasta. Spoon seafood with sauce onto pasta and mix. Sprinkle some fresh chopped basil on top. Ladle into individual bowls and top with fresh grated cheese. Serve with your favorite crusty bread. Enjoy!